In Small Things Remembered » The United States Air Forces in Europe Band at the 1968 Jeshyn Fair. The United States Air Forces in Europe Band at the 1968 Jeshyn Fair. a. 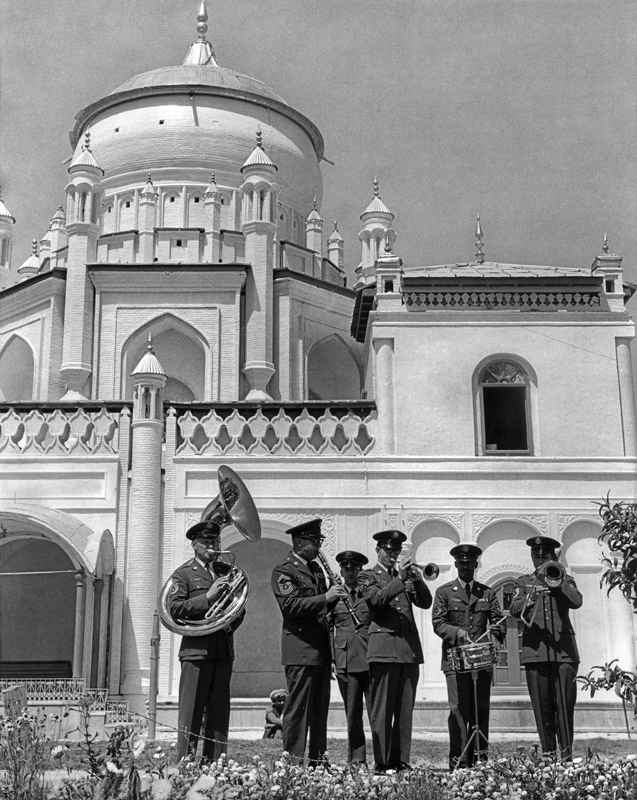 Members of the band’s Dixie Combo at the Mausoleum of Amir Abdur Rahman. b. 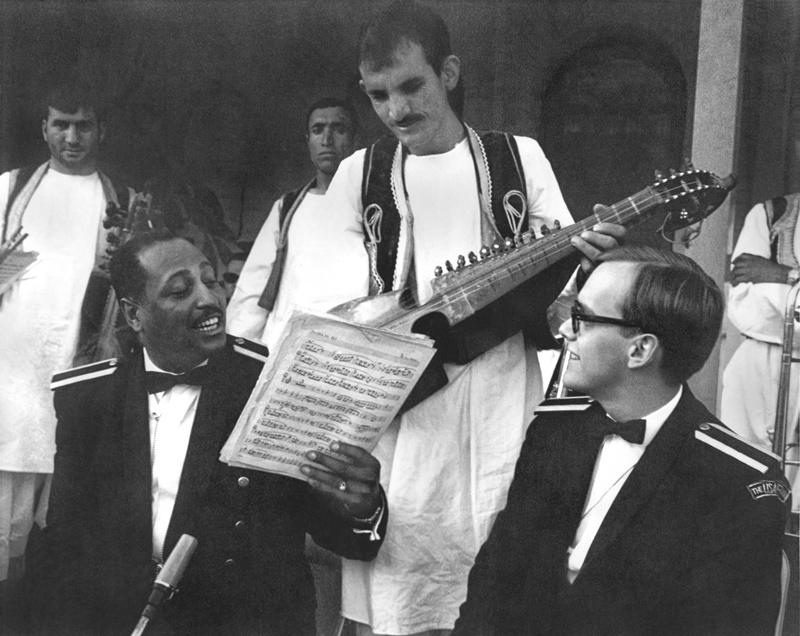 Technical Sergeant Cunnigham (left) and Sergeant Radinski (right) compare notes with Afghan musicians. Courtesy of the United States Air Forces in Europe Band.